Learn the beautiful art of gymnastics while simultaneously cultivating a love for Jesus. Join His family at His Kids Academy in Birmingham, AL. At His Kids Academy, we focus on teaching gymnastics to children. We have expertly trained gymnasts teaching our students everything, from front rolls to the most complex floor routines. We put Jesus Christ first. That's why we have fundraisers and donate money to Christian ministries. We also lend money to upright causes, such as those creating orphanages in Africa. In the gym, our primary focus is on the children. We love the students! We want them to learn gymnastics, and learn it safely! We have cultivated a safe and comfortable atmosphere for the students, helping them learn. His Kids Academy is, of course, a place to learn gymnastics. That's one of the things we love: learning and teaching gymnastics to children. But that is certainly not the only thing we love. We love Jesus, and we want you to love Jesus as well. That's why, at His Kids Academy, we support missionaries, support special needs children, and cultivate a love for the one who made everything possible. His Kids Academy is run by dedicated gymnasts who want the best for your children! If you decide to chose us, then hopefully you will be impressed with the dedicated training and warm atmosphere we have created at our gym. The Bible says that one should not follow another man (or woman! ), because the follower will always stumble at some point. That's why we follow Jesus. The bible also says that we should serve God in everything we do. That's why we serve God and Jesus through gymnastics. 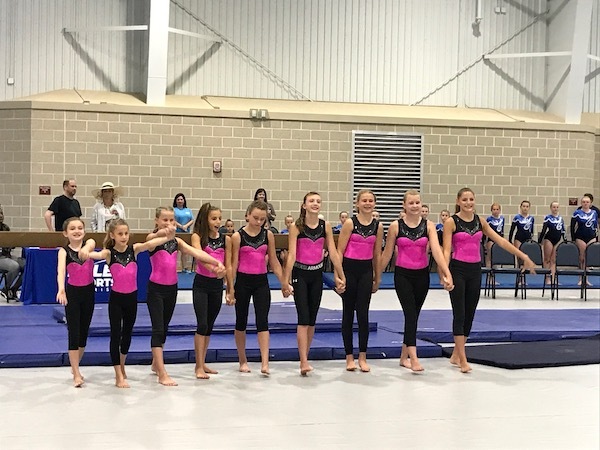 We hope you are encouraged by our love for both gymnastics and Jesus, and we hope to see you at His Kids Academy in the near future! His Kids Academy is proud to announce that it supports a fundraiser for the amazing organization, Mully Children’s Family. This organization was founded by a man named Charles Mully, who was orphaned at six-years-old in Africa and ultimately became a very wealthy and successful businessman. He donated all of the money he made during his successful career to create the organization His Kids Academy is now supporting. What does Mully Children’s Family do? It establishes orphanages across Africa. Their orphanages currently hold around 3,000 impoverished African children. As stated above, we are proud to be supporting Mully Children’s Family. If you want to see the trailer for a documentary about the Charles Mully, click here. If you want to visit their website, click here.